Fantasy sports in the USA is a big business, hence, gaming industry holds a greater prospect. 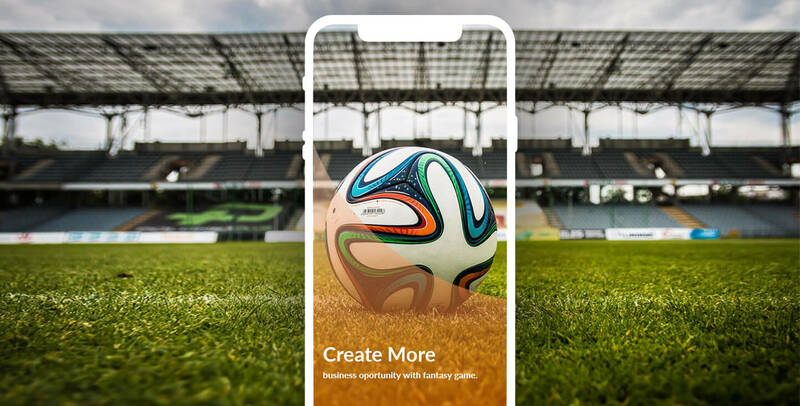 In order to further enhance the reach of this industry, it makes complete sense for existing sports businesses to go for fantasy sports mobile app development. It is hard to ignore the dependency on a smartphone. Apart from business apps, travel app and other apps which have become a crucial part of life, today people are also looking for interesting game apps for entertainment purpose. The rising revolution in the smartphone has brought the world on the fingertip. According to statista, the total number of mobile phone users worldwide expected by 2019 is 5.07 billion out of which 2.71 billion will be smartphone users. 3.81 billion people are active on Mobile for the internet. Surprisingly, in 2016, the total evaluated global mobile app revenue was approx $58 billion, which jumped to approx $77 billion in 2017.
in 2016, the approx mobile app downloads were 149.3 billion, worldwide. It is expected to 352.9 billion by 2021. Well, these stats give a clear indication that the digital audience is growing and mobile has become the best platform to hit them easily. No industry has left untouched from the great transformation of mobile apps. This transformation has given sports app development a new horizon. Hence, fantasy sports mobile apps are gaining popularity and leading the sports industry as hold the ability to avoid injuries on a pitcher getting shelled. Sports app makes you hold the excitement and team spirit though, the fan is not available on the ground. With sports app helps, it is easy to stay updated with everything about a live game. You can avail information like live score, goals, the winning odds, etc. apart from this, it helps to know the winner of the event by sending them regular updates. Be it sports fanatic or other, everyone looks for factual and credible information when it about your favorite game’s status. And of course, sports app has all the facilities to update fan by offering all the data regarding the game i.e. live updates. These applications a multitude of team-related content in one place, and allows them to interact with each other about everything from news, videos, and photos, to stats and fixtures. Beacon technology is further coupled with best sports apps to encourage fans to find their seats and order food, ultimately transforming the regular match day experience. Further, Augmented Reality is enabling fans to see exclusive footage and survey stats when their match day programme designates their smartphones.